Kate Dorgan was born in January 1900 at Bear Creek, Sauk, Wisconsin, twin with Mary. She was the daughter of Patrick C. Dorgan and Hannah (?). [S245] U.S. Federal Census 1900 U.S. Federal Census, by Ancestry.com, ED129. Dwelling 108. Lawrence Dorgan was born circa 1795 at Ireland. He married Ellen (?) circa 1819 at Cork, Ireland. Married Name circa 1819 As of circa 1819,her married name was Dorgan. Ellen (?) was born circa 1800. She married Lawrence Dorgan circa 1819 at Cork, Ireland. Nellie Dorgan was born circa 1905. Name Variation Agnes Karas was also known as E. Agnes. Agnes Karas was born circa 1902 at Wisconsin. She was the daughter of Anton Karas and Catherine Uher. Agnes Karas died before 1983. [S244] U.S. Federal Census 1910 U.S. Federal Census, by Ancestry.com, ED72. Dwelling 26. [S243] U.S. Federal Census 1920 U.S. Federal Census, by Ancestry.com, ED791. Sheet 12A. [S243] U.S. Federal Census 1920 U.S. Federal Census, by Ancestry.com, ED68. Dwelling 16. Josephine Karas was born circa 1906 at Wisconsin. Josephine Karas died before 1983. Louis J. Karas was born on 2 October 1908 at Wisconsin. He was the son of Anton Karas and Catherine Uher. Louis J. Karas married Henrietta Genevieve Blazewicz, daughter of (?) Blazewicz and Mary Niemojewski, before 1938. Louis J. Karas died on 11 April 1974 at Milwaukee, Wisconsin, at age 65. [S250] U.S. Federal Census 1930 U.S. Federal Census, by Ancestry.com, ED17. Dwelling 2. [S373] U.S. Federal Census 1940 U.S. Federal Census, by Ancestry.com, Year: 1940; Census Place: Marion, Juneau, Wisconsin; Roll: T627_4486; Page: 4A; Enumeration District: 29-17. 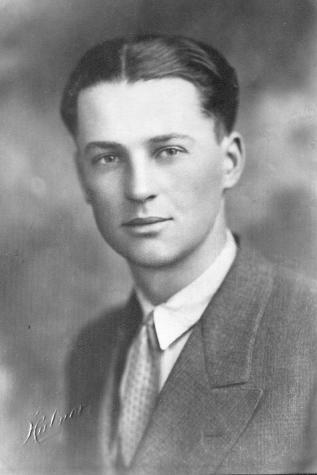 John A. Karas was born circa 1913 at Wisconsin. John A. Karas died before 1983. Name Variation Thelma Della Loomis was also known as Della Thelma. Married Name 4 September 1929 As of 4 September 1929,her married name was Karas. Thelma Della Loomis was born on 28 September 1897 at Mauston, Juneau, Wisconsin. She was the daughter of Morgan Orlando Loomis and Clara Augusta Steen. Thelma Della Loomis married Joseph J. Karas, son of Anton Karas and Catherine Uher, on 4 September 1929 at New Lisbon, Juneau, Wisconsin. Thelma Della Loomis died on 18 February 1953 at Mauston, Juneau, Wisconsin, at age 55. Graduate of Sycamore, Ill Girls School, and Juneau County Normal. Taught several years in North Dakota and Wisconsin prior to her mariage. Lived on farms in Marion and Lindina Townships. Had farm east of Mauston. Later moved to farm west of Mauston which Orland Loomis owned. Robert Loomis gave them a chicken as a wedding gift. [S245] U.S. Federal Census 1900 U.S. Federal Census, by Ancestry.com, ED81. Dwelling 89. [S244] U.S. Federal Census 1910 U.S. Federal Census, by Ancestry.com, ED77. Dwelling 36. [S250] U.S. Federal Census 1930 U.S. Federal Census, by Ancestry.com, ED17. Dwelling 1. Name Variation Nicholas Wesley Stolzer was also known as Nick. Nicholas Wesley Stolzer married Rosa Ann Correll. Nicholas Wesley Stolzer was born on 6 February 1861 at Oscaloosa, Iowa. He died on 23 January 1934 at Beatrice, Gage, Nebraska, at age 72. [S244] U.S. Federal Census 1910 U.S. Federal Census, by Ancestry.com, Year: 1910; Census Place: Beatrice Ward 1, Gage, Nebraska; Roll T624_846; Page: 7A; Enumeration District: 40; Image: 613. Name Variation Rosa Ann Correll was also known as Rosa Anna. Married Name Her married name was Stolzer. Name Variation Rosa Ann Correll was also known as Rosie. Name Variation Rosa Ann Correll was also known as Carrol. Rosa Ann Correll married Nicholas Wesley Stolzer. Rosa Ann Correll was born on 4 July 1866 at Pennsylvania. She died on 4 December 1946 at Beatrice, Gage, Nebraska, at age 80. Rosa Ann Correll had 13 with 11 living in 1910 children. Name Variation Isaiah Arthur Twombley was also known as Isah H.
Isaiah Arthur Twombley was born on 17 July 1854 at Knox, Clarke, Iowa. He was the son of Isaiah Twombley and Lydia Mabel Otis. Isaiah Arthur Twombley married Anna Watkins on 1 January 1873 at Clarke, Iowa. Isaiah Arthur Twombley died on 16 August 1940 at Osceola, Clarke, Iowa, at age 86. [S246] U.S. Federal Census 1880 U.S. Federal Census, by Ancestry.com, NA Film Number T9-0333 Page Number 192A. [S245] U.S. Federal Census 1900 U.S. Federal Census, by Ancestry.com, ED33. Dwelling 27. Name Variation Anna Watkins was also known as Annie. Married Name 1 January 1873 As of 1 January 1873,her married name was Twombley. Anna Watkins was born in August 1853 at Iowa also reported as Ohio. She married Isaiah Arthur Twombley, son of Isaiah Twombley and Lydia Mabel Otis, on 1 January 1873 at Clarke, Iowa. Anna Watkins died after June 1900. Name Variation Francis Riley Twombley was also known as Frank. Francis Riley Twombley married Ada B. (?). Francis Riley Twombley was born on 28 July 1882 at Clarke, Iowa. He was the son of Isaiah Arthur Twombley and Anna Watkins. Francis Riley Twombley died on 8 August 1950 at age 68. Name Variation William T. Colwell was also known as Caldwell. William T. Colwell was born on 5 May 1909 at Madison, Ohio. He married Ruth L. Twombley, daughter of William Lucas Twombley and Maude May Stolzer, on 16 June 1934 at London, Madison, Ohio. Max Ivan Colwell was born on 7 February 1949 at Springfield, Ohio. He was the son of William T. Colwell and Ruth L. Twombley. Max Ivan Colwell died on 6 September 1949 at Springfield, Ohio. Earl Ulysses Twombley was born on 6 August 1874 at Clarke, Iowa. Earl Ulysses Twombley died on 16 December 1949 at age 75. Wilbur Wellington Twombley was born in April 1889 at Clarke, Iowa. Wilbur Wellington Twombley died in March 1959 at age 69. Name Variation Emma Twombley was also known as Emeline. Emma Twombley was born circa 1877 at Clarke, Iowa. She was the daughter of Isaiah Arthur Twombley and Anna Watkins. Name Variation Nora Twombley was also known as Ida. Nora Twombley was born circa 1878 at Clarke, Iowa. Maurice Welch was born on 13 August 1854 at Maine. He was the son of John Welch and Mary Ann O'Brien. Maurice Welch married Sally J. Donnelly on 7 February 1884 at Philadelphia, Pennslyvania. Maurice Welch married Julia Thompson, daughter of Over Thompson and Matilda (? ), on 24 March 1892 at St. Paul, Ramsey, Minnesota. Maurice Welch died on 15 February 1931 at St. Leo, Yellow Medicine, Minnesota, at age 76. [S245] U.S. Federal Census 1900 U.S. Federal Census, by Ancestry.com, ED272. Dwelling 194. Married Name 24 March 1892 As of 24 March 1892,her married name was Welch. Julia Thompson was born on 30 January 1872 at Fillmore, Minnesota. She was the daughter of Over Thompson and Matilda (?). Julia Thompson married Maurice Welch, son of John Welch and Mary Ann O'Brien, on 24 March 1892 at St. Paul, Ramsey, Minnesota. Julia Thompson died on 13 November 1958 at Oregon City, Clackamas, Oregon, at age 86. [S246] U.S. Federal Census 1880 U.S. Federal Census, by Ancestry.com, NA Film Number T9-0114 Page Number 139C. Hazel M. Schroeder was born circa 1913. [S373] U.S. Federal Census 1940 U.S. Federal Census, by Ancestry.com, Year: 1940; Census Place: Kennedy, Charles Mix, South Dakota; Roll: T627_3851; Page: 2B; Enumeration District: 12-14. Axel Lundberg was born on 11 March 1899 at Sweden. Axel Lundberg witnessed the marriage of Glenn Jespersen and Marguerite F. Lundberg on 25 April 1942. Axel Lundberg died in May 1970 at age 71. Axel Lundberg obtained US Social Security Card at South Dakota; last residence Wagner, Charles Mix, South Dakota. [S250] U.S. Federal Census 1930 U.S. Federal Census, by Ancestry.com, ED14. Dwelling 52. Elmer L. Lawyer was born on 1 April 1903 at South Dakota. He married Helen Hrdlicka, daughter of Charles Hrdlicka Sr. and Antonie Popelka, on 17 March 1925 at Davison, South Dakota. Elmer L. Lawyer died in March 1983 at age 79. Elmer L. Lawyer obtained US Social Security Card at South Dakota; last residence Lake Andes, Charles Mix, South Dakota. [S250] U.S. Federal Census 1930 U.S. Federal Census, by Ancestry.com, ED21. Dwelling 80. Jay Doty was born on 14 April 1896 at Union, South Dakota. Jay Doty died on 9 March 1962 at Charles Mix, South Dakota, at age 65. (?) Wilson was born at Ireland. Married Name Her married name was Wilson. Unknown (?) married (?) Wilson. Unknown (?) was born at Canada. Alvina Mabel Jurgens was born on 19 February 1919. Alvina Mabel Jurgens died on 18 September 2014 at Milbank, South Dakota, at age 95. He was the son of August Wilhelm Hovland and Gena Mogen. Iver Christopher Hovland died on 29 October 1972 at age 69. Iver Christopher Hovland obtained US Social Security Card at South Dakota; last residence Waubay, Day, South Dakota. [S9] South Dakota, South Dakota Birth Records South Dakota, State File Number: 776278 (unknown file date).